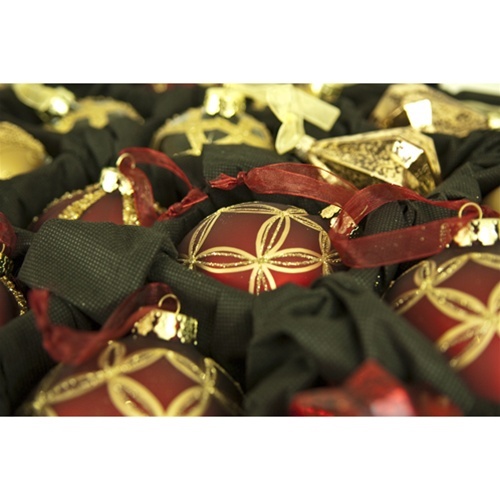 Christmas Ornament Storage Boxes | TK-10125 | Free Shipping! 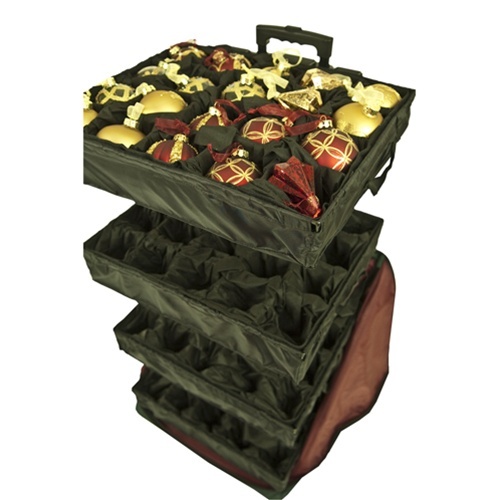 The Telescoping Ornament Keeper storage system is a safe way to store all of your most treasured holiday ornaments. 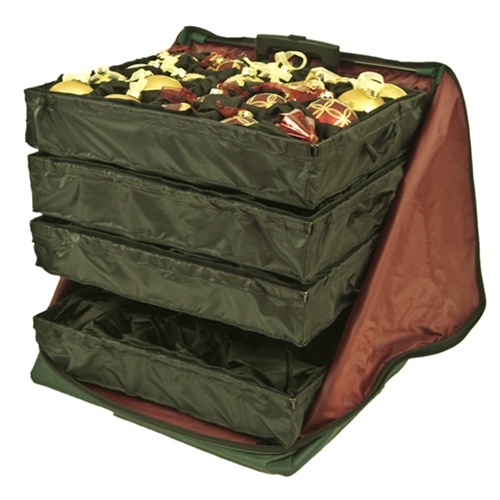 The large wheeled storage bag, holds up to 80 ornaments in four fabric lined trays to protect your ornaments from scratches or breakage. 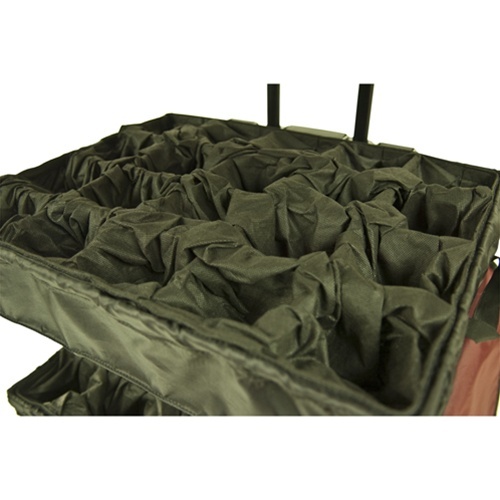 The trays are attached to the storage bag handle and telescope up to the perfect height by simply pushing a button and pulling up on the bag handle. The trays can also be taken off of the rack for individual use. 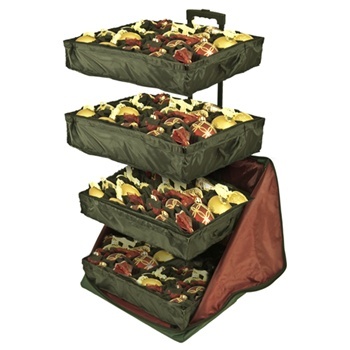 Tray dividers hold up to 4" ornaments and each has a removable center to hold larger ornaments. 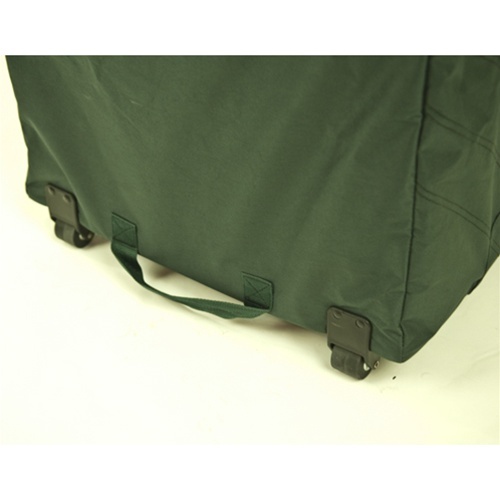 The storage bag has 4 wheels and multiple grab handles for easy transport around your home and into storage! 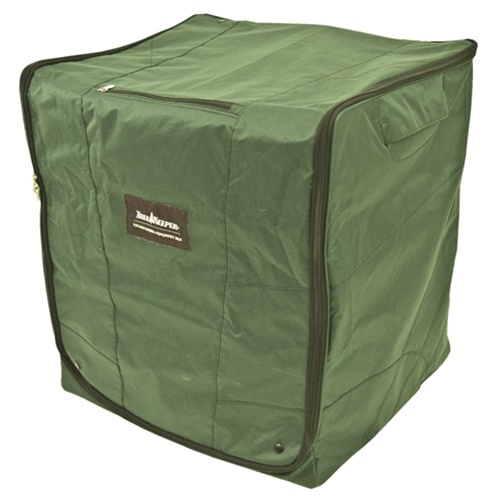 While this system is great for Christmas, its uses are endless for any collector of delicate items. 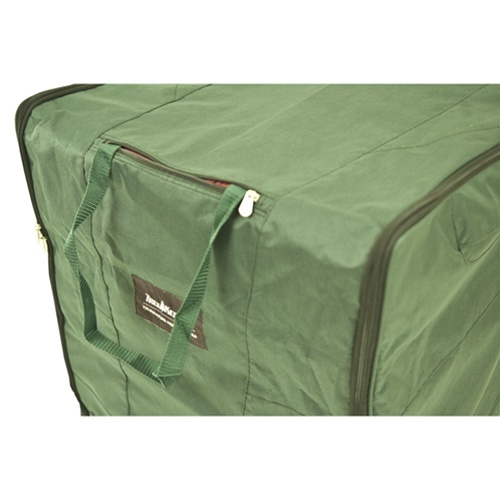 Shipping carton dimensions: 20" x 20" 9.5"